This uncomplicated recipe for pork loin is roasted with a simple orange glaze. This makes a fabulous meal with sweet potatoes or mashed potatoes and your family's favorite veggies. 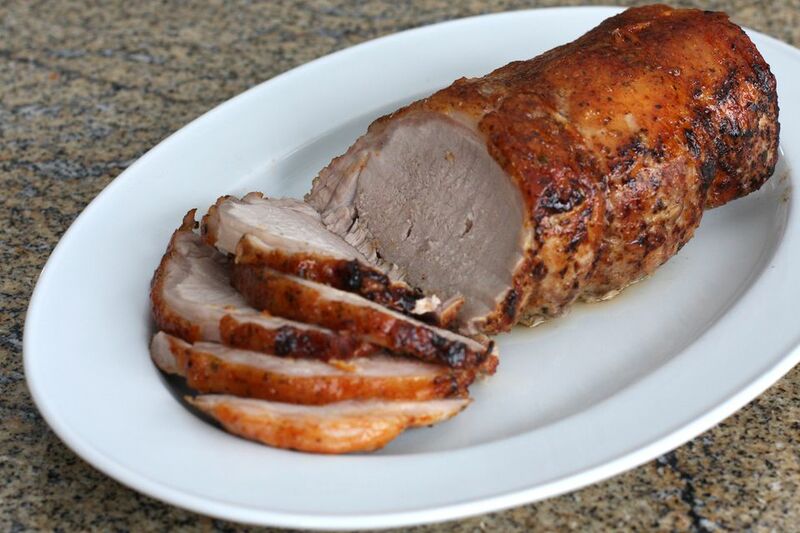 Whether for a Sunday dinner or everyday family meal, a pork loin roast is an excellent choice. If there is very little fat on the roast, wrap slices of bacon around it. You'll have a tender, juicy roast and the bonus of that wonderful smoky flavor on the outside of the meat. Heat the oven to 350° F (180° C/Gas 4). Line a roasting pan (large enough to hold the roast) with foil. In a bowl blend the orange juice concentrate with the melted butter and steak sauce. Sprinkle the pork roast lightly with salt and pepper and place it in the roasting pan. Baste the pork again with the orange juice mixture about 5 to 10 minutes before it's done. Tent the roast loosely with foil and let it rest for 3 to 5 minutes before slicing. *Check the pork with a food thermometer. It should register 145° F when inserted into the thickest part of the roast.